The Season of the Force is coming to Disneyland November 16th and we have all the details in this week's episode of Inside The Mouse Castle. 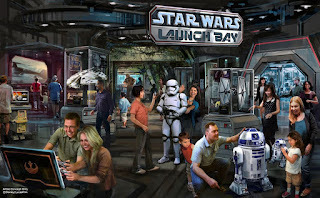 As excitement builds for Star Wars: The Force Awakens in December and the January groundbreaking of Star Wars Land, the Star Wars Launch Bay will open in the old Innoventions building in Tomorrowland. There will be plenty to preview of the upcoming Star Wars films and eventually, we assume, the park expansion. 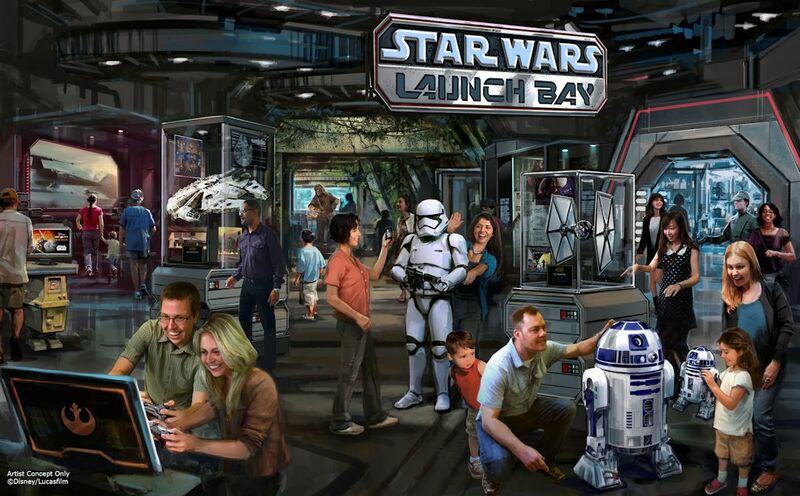 Also in the Launch Bay will be the obligatory Star Wars character meet-and-greets. Next door, a new Space Mountain overlay, Hyperspace Mountain, will rocket guests through an X-wing Figher battle. Star Tours will get an upgrade as well, adding new show elements based on The Force Awakens. The Star Wars Land expansion at Disneyland means extended ride closures during construction. Everything on the Rivers of America including the Mark Twain, Columbia and Tom Sawyer will be shut down for more than a year beginning January 11, 2016. Likewise Fantasmic! and the Disneyland Railroad. While much of the Internet is speculating on what the new train and river configurations will be when the dust settles and Star Wars emerges, Anthony and I offer our short-term take on what no train, no Big Thunder Trail and no Fantasmic! will do to crowd control. We don't think it will be pretty. Disneyland is extending its Diamond Celebration until September 2016, which means the resort will turn 61 while it's still turning 60. Websites that offer dining reservation services at Disney resorts (usually for a fee) are coming under fire by Disney. Disney Dining Buddy is the first site to suspend activity after receiving a "request" by the Mouse to stop. 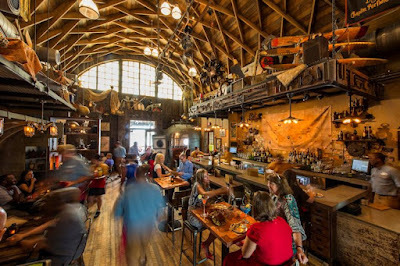 The Indiana Jones-referential Jock Lindsey's Hangar Bar has opened at Walt Disney World's Disney Springs (no longer Downtown Disney). We want to go there. Garrett Hedlund (Sam Flynn in Tron: Legacy) says a Tron 3 film may not be dead on the grid after all. Maybe. Duffy the Disney Bear is bidding farewell to Epcot. This pleases us. Outside of Japan, he never was a thing. Listen and subscribe to Inside The Mouse Castle on iTunes, Stitcher and SoundCloud.